Gilbert G. Swift, age 83, of Hockessin, DE, passed away on November 30, 2018 at Compassionate Care Hospice at St. Francis Hospital. He was born in 1934 to the late Bayard and Edith Swift. Gilbert was the proud owner of his own landscaping and snow plowing company. Before his retirement, he had 25 years of service at Goldey-Beacom College as Head of Facilities and Maintenance. He was an avid antique car enthusiast, avid bowler, and enjoyed camping in his RV. Survived by his wife Caroline E. Swift of Hockessin, daughters Cindy (Kenneth) Williard of Hockessin, Sandy Swift of Hockessin, sons Steven Swift of Chicago, Robert (Michele) Swift of New Castle, former daughter-in-law Roseanne Tweed Swift, grandchildren Kenny Williard of Kansas, Michelle (Christopher) Young of England, Alexis (Riley) Herbein of Wilmington, Ryan Swift of Wilmington, Alyssa Swift of Wilmington, and great grandson Jaxson Herbein, brothers Kenneth (Dottie) Swift, Raymond Swift, sister Barbara (Terry) Swift Greer, as well as several nieces, nephews and cousins. Predeceased by his sisters Marie Proud, Olivia Miller, brothers Bayard “Bud” Swift and Gorman Swift. In lieu of flowers, donations may be made to Compassionate Care Hospice, 248 E. Chestnut Hill Road, Suite 4, Newark, DE 19713. Funeral Services will be held on Thursday December 6, 2018 at 11:00AM at Chandler Funeral Home of Hockessin, 7230 Lancaster Pike. Viewing will begin at 10:00AM. Interment Red Clay Creek Church Cemetery. Rest in peace Dad. Love, Steve. May God bless Gilbert in a better place. Gil was a good man. Dear Dad, your guiding hand on my shoulder will remain with me forever. Dad you will truly be missed. 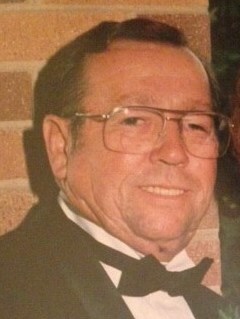 Dad I have and always will love you and carry you in my heart today and forever. Love you forever. Some day we will be together again. To a wonderful Father-in-law who treated me like a son. You will be dearly missed, may you rest in peace.